FREE – Juvederm Vollure (one vial, a $675 value!) when you purchase two vials of Juvederm Voluma! Vollure is the first and only filler proven to last up to 18 months in moderate to severe facial wrinkles and folds. Join Brilliant Distinctionsand earn savings on treatments including Botox, Latisse, Juvederm, Kybella and more. FREE Enzyme Mask when you purchase any regularly priced Silk Peel (limit two). St. Patty’s Facial – here’s the green you should be wearing this month, one of our rejuvenating Green Tea Facials – just $95. Send your kids/grandkids some love and protection with our SPRING BREAK SPF BUNDLE – includes Avene Self Tanner, Avene SPF 50 Balm (great for the lips and scars), Avene SPF 50 Face & Body. SAVE 15% off, now only $70.28! SAVE 15% off SRC Clay Mint Mask. 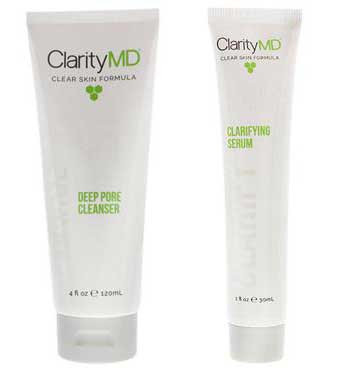 Helps clean and tighten pores while absorbing excess oil. Offers valid through March 31, 2018 or while supplies last. Call 1-800-A-NEW-YOU for more information or to schedule an appointment.